Smartwin is a window, which has been designed as a rst class passive house window at an affordable price. The aim was to combine an intelligent network (smart), attractive design (art) and energy saving window (win) into one unit. 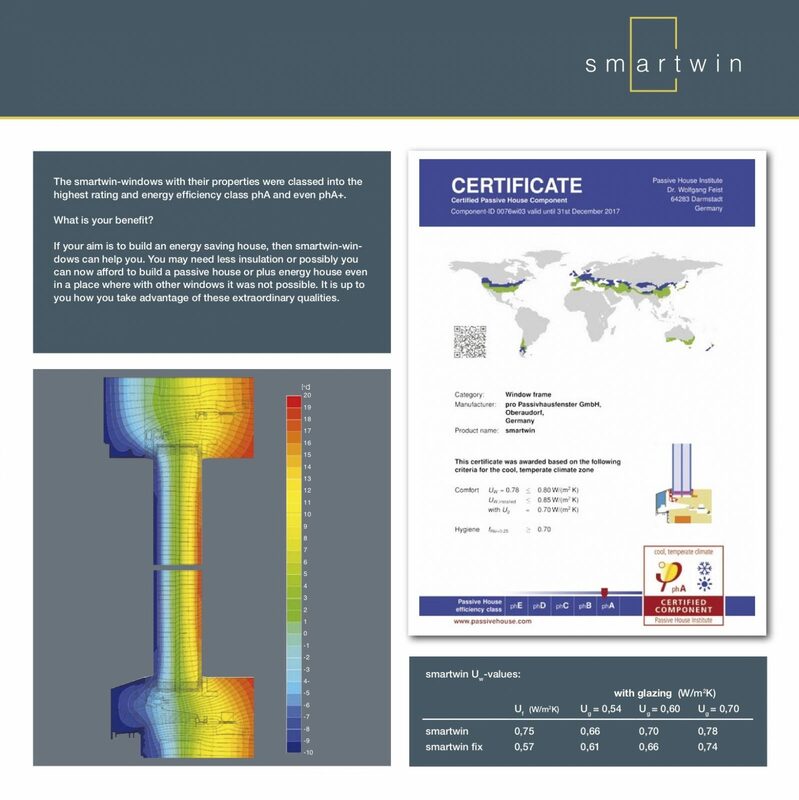 Smartwin saves money from first day fitted in a cosy home. 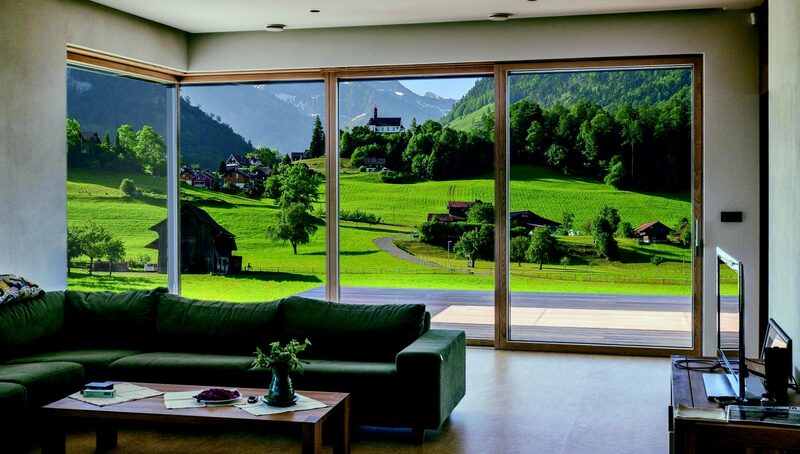 The founder of pro Passivhausfenster developed several versions to make your visions a reality (smartwin, smartwin sliding and smartwin historic). of the Passivhaus Institute in Darmstadt con rm this. To get smartwin-windows in your house, a network of cooperating companies from different European countries was established. A strong team was born and is now able to collaborate and share their common knowledge. these materials are considerate of our environment. Smartwin: less energy saves more! Smartwin: back to natural materials! 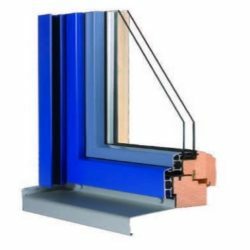 The Smartwin windows with their properties were classed into the highest rating and energy efficiency class phA and even phA+. 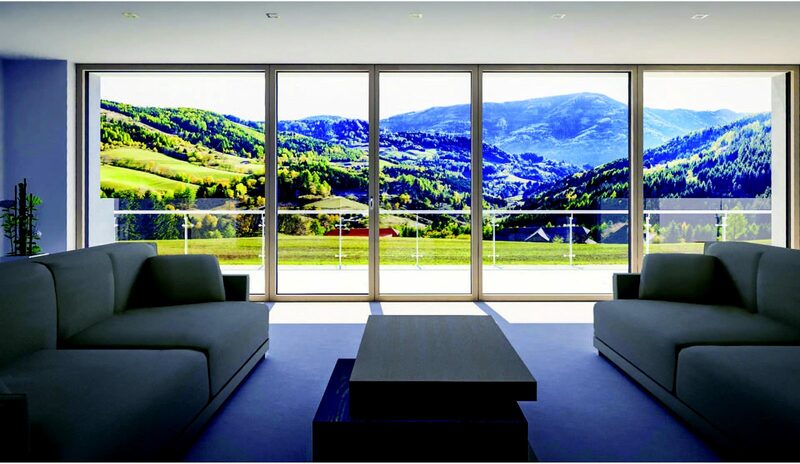 If your aim is to build an energy saving house, then Smartwin windows can help you. You may need less insulation or possibly you can now afford to build a passive house or plus energy house even in a place where with other windows it was not possible. It is up to you how you take advantage of these extraordinary qualities. Smartwin compact is a further development of the well-known Smartwin with even more elegant design and increased energy efficiency. This further improvement results in a thinner frame design, which allows for an even bigger pane and thus leads to bigger solar gains. Window frame and sash have a view width of only 70 mm at the side and at the top. Below, the new 86 mm window also creates a new class of elegance, brightness, and ef ciency. Inside cosy and natural wood, outside only glass and durable, maintenance-free aluminum pro les. 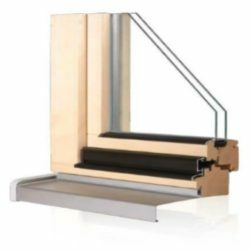 With the Smartwin compact, pro Passivhausfenster continues to consistently pursue the path of economic optimization of the most energy-efficient windows. 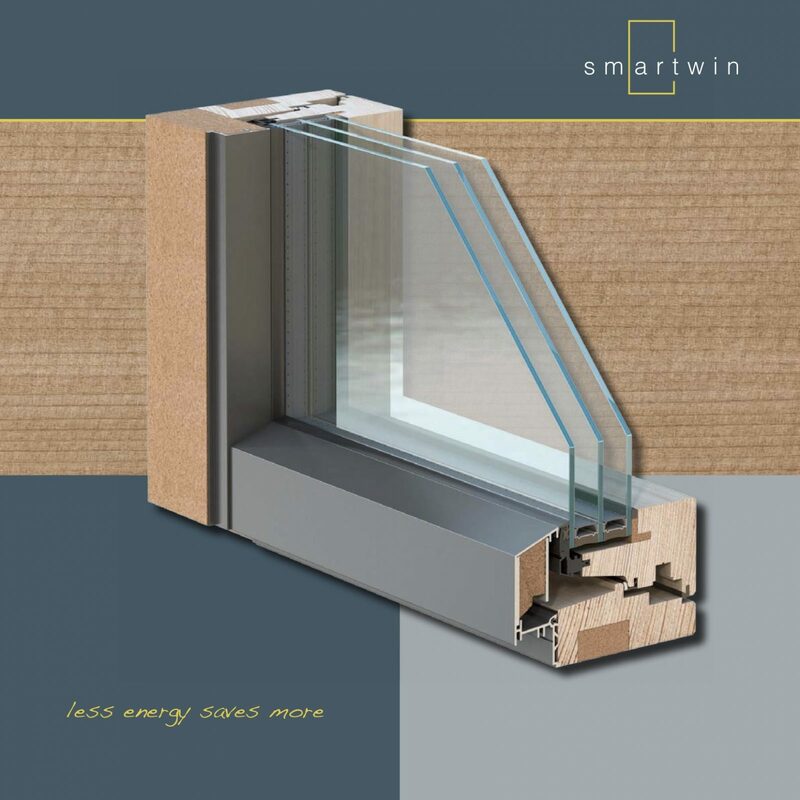 It is therefore not surprising that Smartwin compact 2014 was awarded the first prize in the area of wood-aluminum windows by the Passive House Institute. no-go. 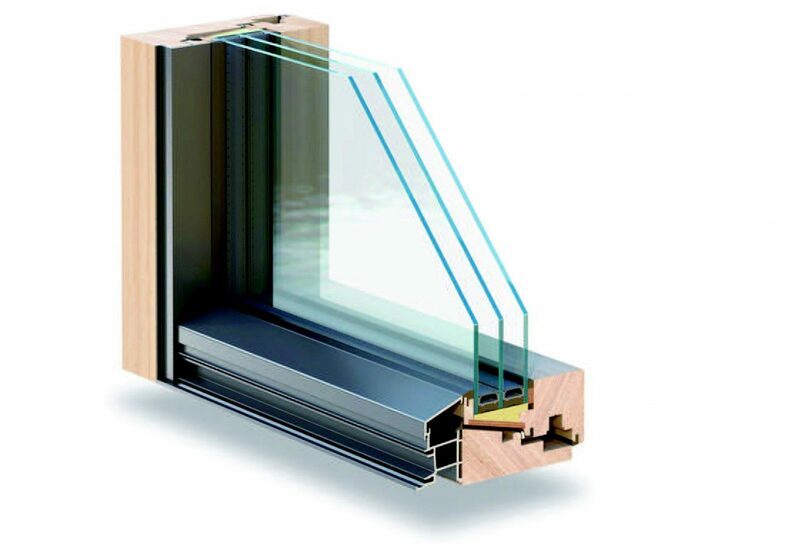 All sliding doors before smartwin sliding failed to meet the high requi- rements of the passive house in terms of the insulation quality of the frame and air tightness. Who wants a sliding door with uncomfortable drafts? 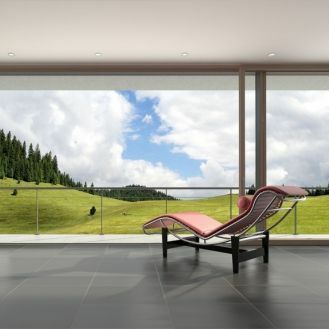 With the sliding door smartwin sliding, pro Passivhausfenster has succeeded in introducing the rst passive sliding door to the market. A complete circumferential gasket ensures comfort in your home. Entrance doors compatible with the passive house requirements were a challenge in the early years of passive house construction. Today, fortunately for the end user, there are a number of certified products. Why Smartwin entrance? The high aesthetic requirements that Smartwin-partners place on their products did not stop at the doorstep. The result is the well-known Smartwin aesthetics, coupled with previously unattained functional values. An Ud-value of the built-in door of 0.52 W/m2K (with required 0.85 W/m2K) and an inner surface temperature at the coldest point of the doorstep threshold of more than 12.6 °C saves money and increase the cosiness for customers. 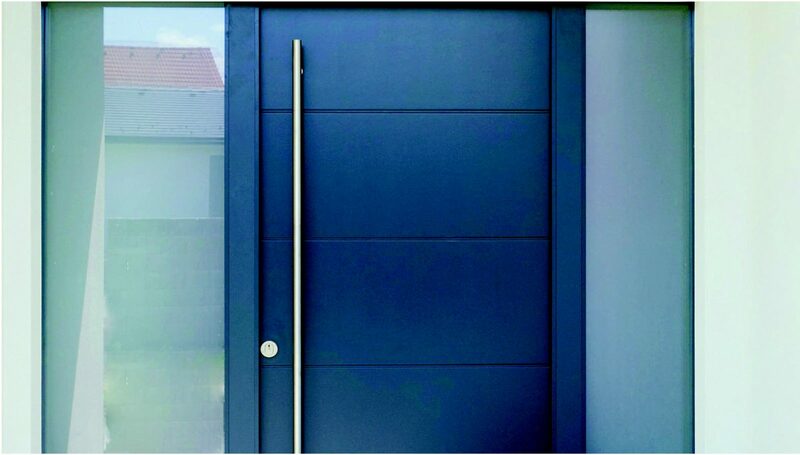 The attractive appearance of Smartwin entrance is also not compromised by the safety, the operation via fingerprint, the homely wooden surface inside and the maintenance-free aluminum surface on the outside. Passive houses look like shoe boxes!